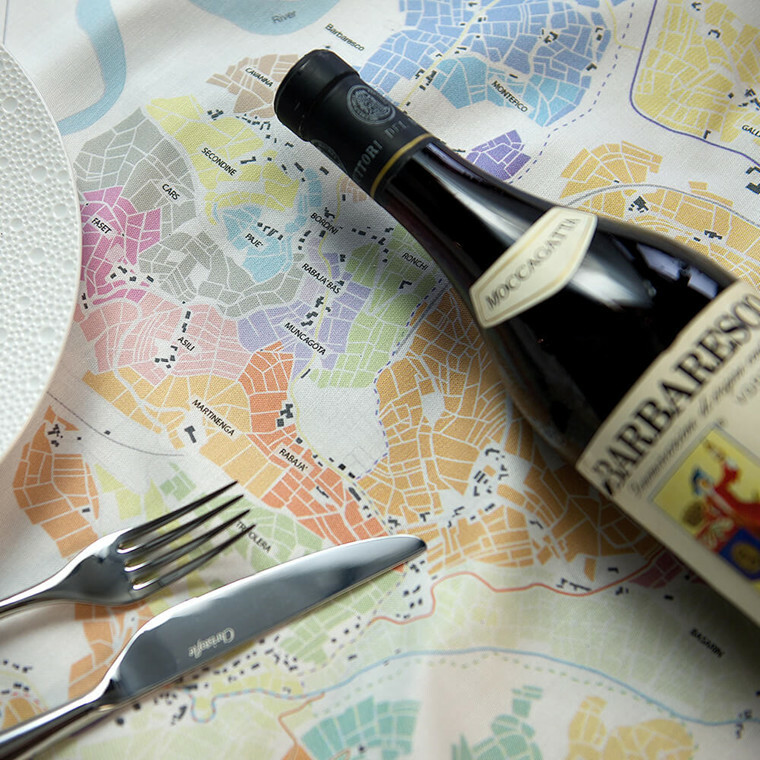 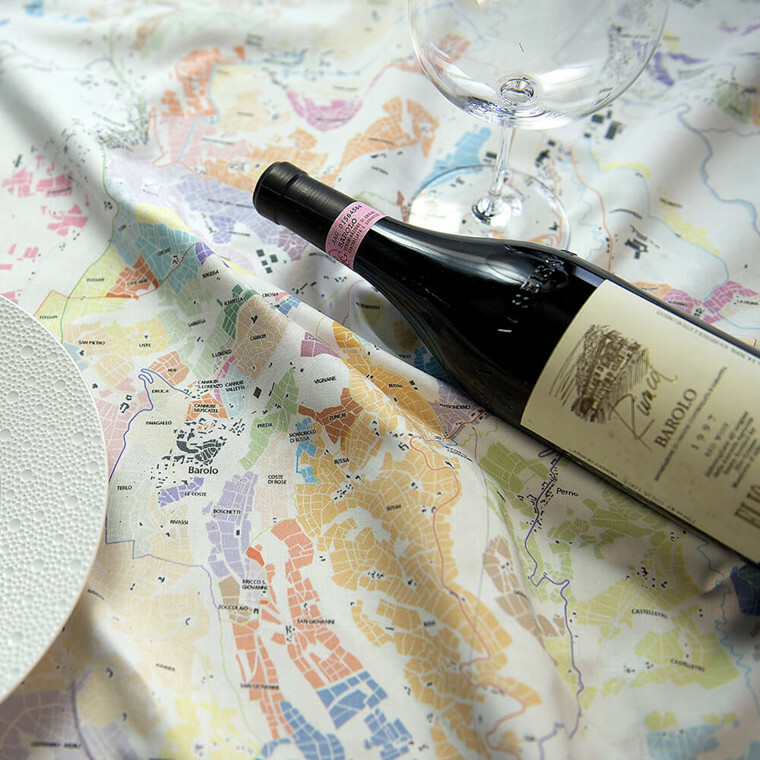 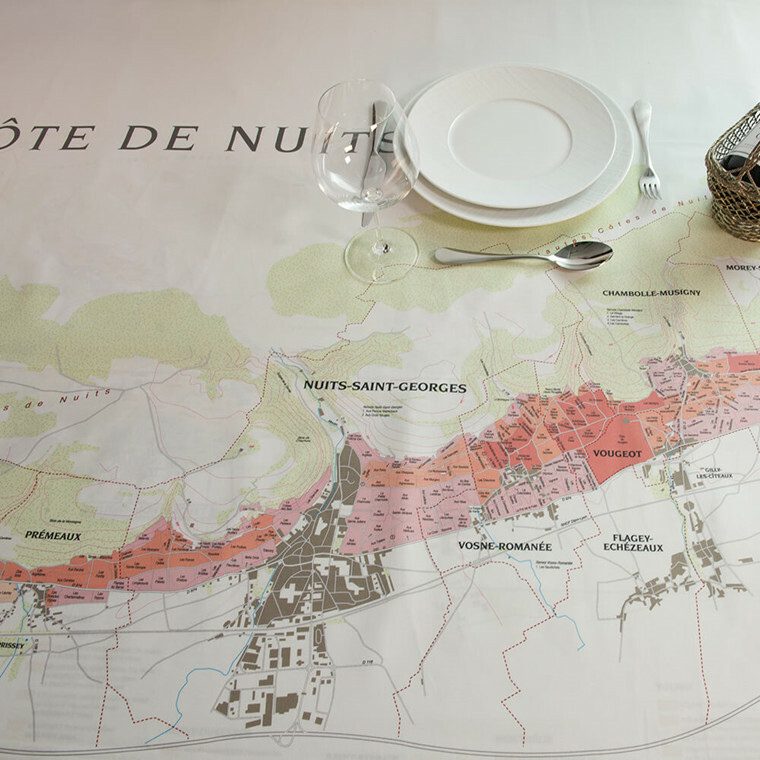 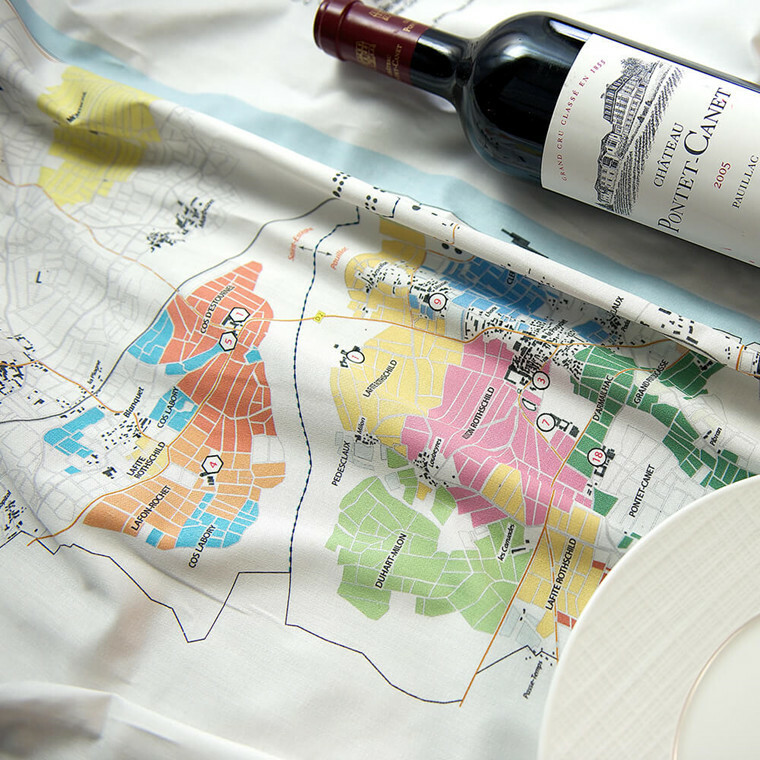 Marie is the idea woman behind our wine tablecloths and has been the focal point in their creation, as it was necessary to find the absolute best cartographers before we could print on our damask tablecloths. 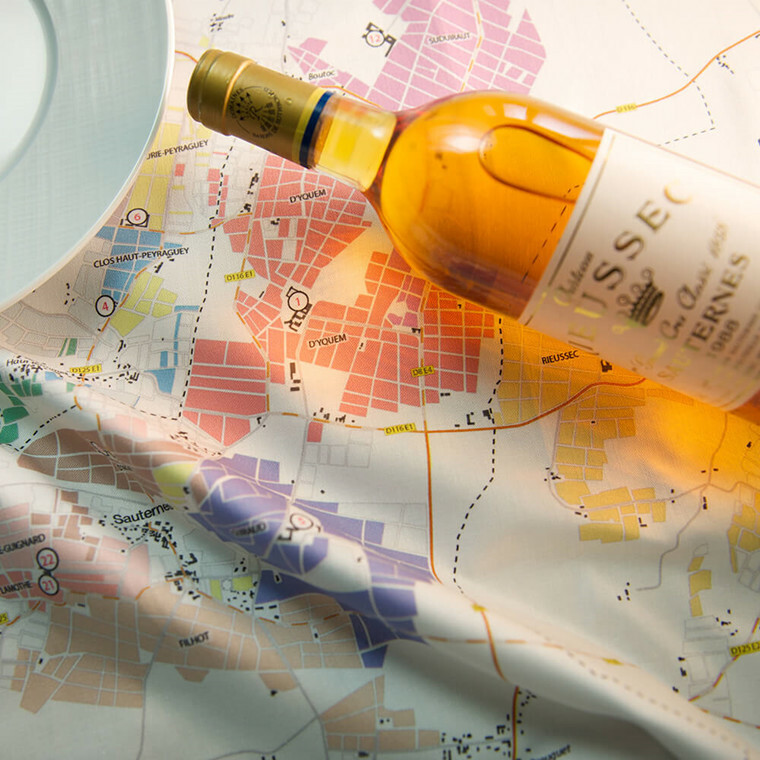 A total of 6 tablecloths were created, which are now used by professionals for wine tastings, presentation at trade fairs and in their farm and gift shops. 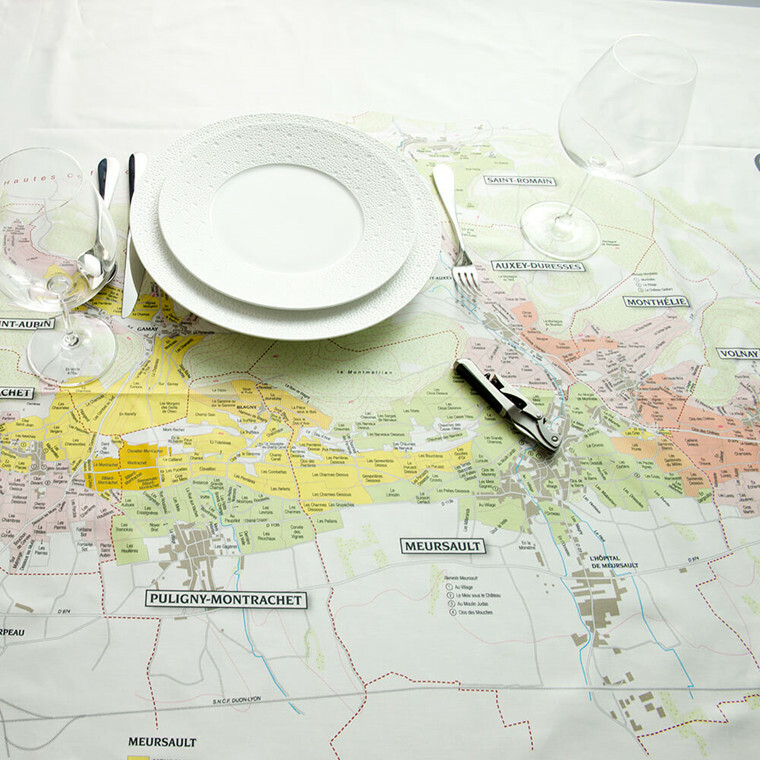 They are also used on private tables for those who share Marie’s passion for wine of course.